Traditional TV services shouldn’t get complacent just because online video hasn’t demolished its business yet. The August 23, 2010 edition of The New York Times features a big package on “The Sofa Wars,” about the battle for living room entertainment between entrenched powers and next-gen Internet services. The lead piece (at least online) is a delightfully silly article that promotes the idea that “cord-cutting,” or dumping cable or satellite television for watching only online video, is “perhaps the most overhyped and overanticipated phenomenon in tech history” and more than implying that it’s never going to happen. Jim Lanzone, CEO of Clicker, a nine-month-old Web service that has taken a search-like approach to amassing a database of info on 750,000 shows in its aim to be the “TV Guide of the next generation of TV” (a bit of an overhyped metaphor, yes, but a useful one nonetheless), says that he started his company because “the future of TV is extremely fragmented and the calendar grid on your cable system is no longer applicable.” On TV, there’s one Food Network, but online, there are hundreds. Content. The thing that came up again and again in our production of “The New Fall Season” package is that for creators and for viewers, younger ones in particular, there’s just content. Younger viewers aren’t brand loyal to a network and their overthought lineups. Why should they be? 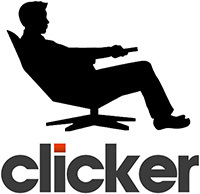 They’re creating their own lineups, and that’s why Clicker has attracted 1.5 million users a month and is growing 40 percent or more month over month. It works whether you want to watch free programming or pay for shows on iTunes or subscribe to Netflix or Hulu Plus. 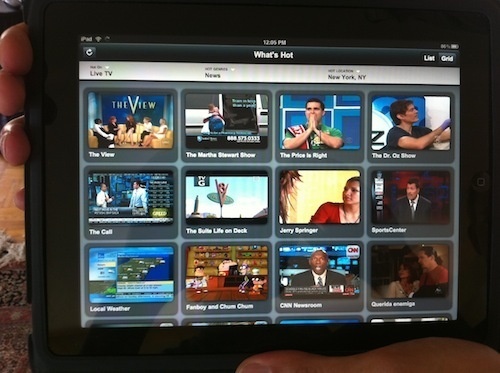 It works whether you want a box from GoogleTV or Boxee or your cable company or nothing at all. What the Times piece ignores are all the other inescapable trends in the TV and Internet video space that feed into the inevitable erosion of the cable business’ status quo. More and more TVs are Internet-enabled. Cable companies and content providers continue to play ugly games of chicken over network rights fees. Consumers lose every time, but tend to support keeping access to ESPN or Food Network rather than embracing the principled stands of the company fleecing them for $100-plus a month. Consumers, again particularly younger ones, want to watch “TV” on their phones, their iPad, and their laptops as well as their big screens. Even the cable companies appear to understand this, as evidenced by Verizon’s iPad app demo last week. And they want to talk about it with their friends on Facebook, Twitter, or any of the emerging services trying to cater to creating shared experiences around TV online, such as Miso, GetGlue, Philo, or Clicker’s relatively new social functionality. You know what all these things have in common? They all still exist, and entrepreneurs return to the ideas underpinning them again and again, continually refining the offerings. And consumers get more comfortable with them over time. No smart person is saying that cable TV is dead. Just that it’s time to adapt.